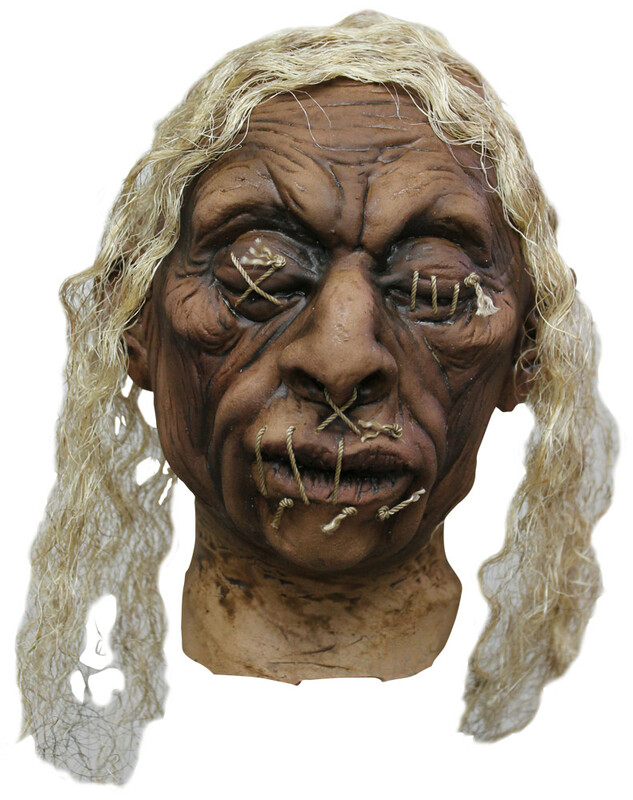 Highly detailed shrunken head with stitched eyes. Made of latex, hollow and open at the neck, with blonde hair. Head measures approximately 7" long x 6" wide (not counting hair).